The Indiana Dunes National Lakeshore (IDNL) has closed access to the beach at the Portage Lakefront and Riverwalk due to continued erosion, as reported by the Northwest Indiana Times. According to the Chicago Tribune, Lake Michigan is at a near all-time high water level at 580 ft above sea level, just two feet shy of the record high in 1986. 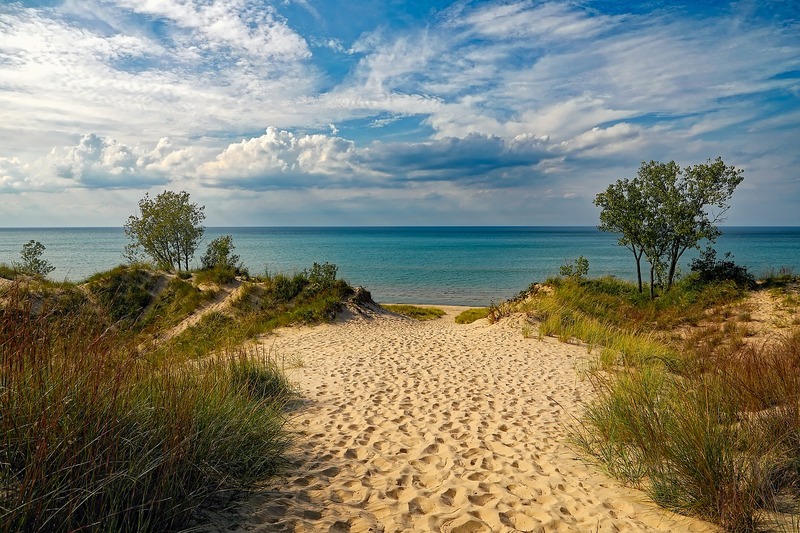 The higher lake level coupled with recent storm waves contributed to the beach erosion and narrower beaches along the Lake Michigan shoreline. The popular park, which opened in 2009, faces a lack of funding for beach renourishment and erosion control projects. While a bill authorized by Indiana State Sen. Karen Tallian and passed earlier this year requires any sand dredged from Lake Michigan to be deposited on the beach, the bill is likely years away from being implemented. In August, Tallian requested funding from the Porter County Council to manage erosion through dredging as a temporary solution. However, the council denied responsibility of the park.